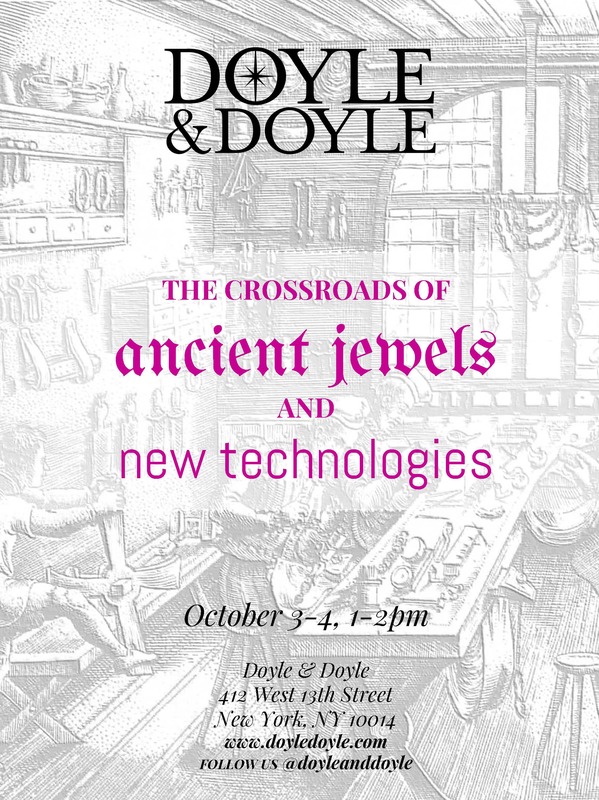 Discover The Crossroads of Ancient Jewels & New Technologies on October 3-4, 1-2pm on both Saturday and Sunday. Free and open to the public! Grab your jewel loving friends and stop by our boutique in the Meatpacking District this weekend to learn about the tools and technology behind antique jewelry. We’ll have a selection of tools, jewelry, and loose diamonds for you to see in person, plus an illustrated accompanying handout that’ll delve further into diamond cutting and traditional manufacturing techniques. We’ll be pouring our weekend prosecco, too! Want to whet your appetite? Check out our history articles to get an introduction to the techniques you’ll see in the exhibition. See you this weekend!